Six Nations Preview - Who Can Take England's Crown in 2018? Home » Blog » Events » Six Nations Preview – Who Can Take England’s Crown in 2018? Six Nations Preview – Who Can Take England’s Crown in 2018? It’s that time of year again! The Six Nations is just around the corner, the excitement and hype is beginning to build. 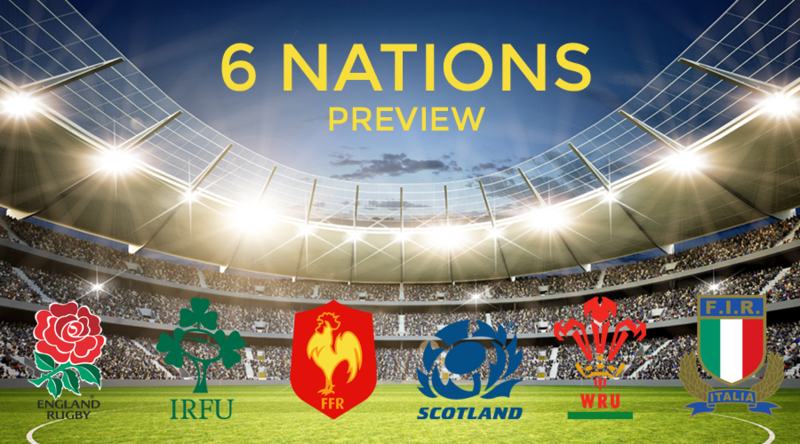 England should be the favourites to win this year, but Scotland, Wales, Ireland and France are hot on their heels… and the Italian team are looking stronger than ever, so could they pull off an incredible upset match and throw a wrench in the works? It’s all to play for in the next two months. There are a lot of games in the UK this time around, so it’s a good opportunity to get down there and see the action for yourself. Natwest 6 Nations: Who Will Take On England? Things will kick off with Wales v Scotland at the Principality Stadium in Cardiff, on February 3. The winner of this match will be in a great position to challenge England in the second round, so it will definitely be an exciting start to the tournament. Kick-off is as 2.15pm GMT. The next two games at the UK grounds are all to play for. The first of these is England vs Wales at Twickenham on February 10, this time at 4.45pm GMT. England’s first home game at the London ground will be sure to attract the fans, and they will be facing one of their stronger tournament rivals – if Wales beat Scotland the week before, there will be a lot of tension between the two home nations. Scotland vs England is the home game in round 3, taking place at Murrayfield in Edinburgh on February 24. At this point we are over halfway through and the frontrunners will be clear, so it will be exciting to see a game that should show us who is in a great position going forward to the last two rounds. Kick-off at 4.45pm GMT. Going into round 4, we will have a clear idea of who is likely to win and which teams will need a miracle comeback. Ireland vs Scotland takes place in Dublin on March 10 at 2.15pm GMT, followed very shortly afterwards by France vs England (always a very exciting match) at the Stade de France at 4.45pm GMT. The next day, Wales take on Italy at Principality Stadium in Cardiff at 3pm GMT. The results of this action-packed weekend could spell the end for some teams in the tournament, and if Italy can pull off a surprising upset, we could have fireworks heading into the last weekend. The last three matches take place over one incredibly jam-packed day. The matches begin with Italy v Scotland at the Stadio Olimpico in Rome, on March 17, which kicks off at 12.30pm GMT. After that, England will take on Ireland at Twickenham at 2.45pm GMT, and at that match, sparks will fly, as it could well be the decider for England to take the championship. Finally, Wales vs France will happen at Cardiff at 5pm GMT, and if England haven’t managed to take it all, Wales could potentially be looking at coming out on top, should they secure victory over the French. One thing’s for sure, it’s looking like a very exciting season, and though England are currently the favourites, at this stage, anything could happen. The Operations Team can arrange flights to all of these matches. 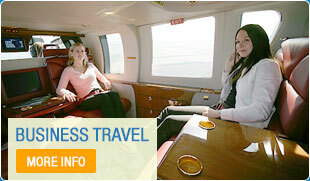 They have over 15 years experience and have arranged a variety of itineraries. Telephone them to arrange your flight, if you are curious about the cost use the form below to get an instant estimate.